Healthy Diet is a key to balance between mind and body. Think of what you can eat, and not what you can’t. When most people think of going on a diet, the thought of saying no to a lot of foods can really turn them off. A good way to stay positive and inspired is to think of all the food you can eat – plenty of fruits and vegetables, lean meats, whole grains, veggie bhels etc. The options are substantial, healthy and quite mouth-watering. Keep a food diary. Several studies have shown that those who keep a food diary see far better weight-loss results than those who don’t. By keeping a food diary, you’re ensuring that you’re eating healthy, nutritious food and avoiding foods that can derail your diet plans. Weigh yourself regularly. You could either weigh yourself daily, or once a week, depending on how you want to go about it. 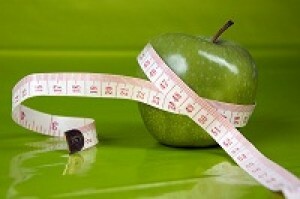 Regular weight checks help to ensure that your diet is in fact, working for you. Call it “eating healthy” and not “dieting”. The word “dieting” can get a variety of responses from your friends and family. Some friends may feel pity for you, while some older uncles and aunties might lecture you on how bad dieting is and how you’ll lose your glow etc. To avoid all these unnecessary discussions with well-wishers, just them you’re eating healthy while politely saying no to that samosa and grabbing a handful of nuts instead. Drink two glasses of water just before your meal. This neat little trick helps to give you a feeling of fullness, so you don’t end up overeating. Snack smart. The most important thing to remember about dieting is to never allow yourself to feel starved. Always carry healthy snacks like nuts, fruits or whole biscuits with you and just pop them in between meals, so you never feel deprived. Big breakfast, small dinner. This one’s an oldie, but a goodie! Eating a good breakfast not only keep you going through the day, but is also essential for your body after it’s been deprived of food all night. Dinner, on the other hand, should be light and preferably had at least a three of four hours before you sleep. Eat at the dining table. Avoid eating in front of the TV as that just leads to mindless overeating. Eat a nice family dinner at the dining table instead. Don’t forget to exercise. Someone once said, very rightly, that dieting and exercise are like the two wings on a plane. Without both, the plane can’t tale off. Just because you’re dieting, doesn’t mean you can skip the exercise. Do both to get maximum benefits and feel healthy. Sleep well. Sleeping a full 7 to 8 hours not only helps you stay fresh and healthy, but also aids your weight loss efforts. So don’t skimp on sleep, eat healthy, exercise and you’ll definitely achieve your weight-loss goals.